We present a nonlinear, recurrent neural network model of the primary visual cortex with separate ON/OFF-pathways and modifiable afferent as well as intracortical synaptic couplings. Orientation maps emerge driven by random input stimuli. Lateral coupling structures self-organize into DOG profiles under the influence of pronounced emerging cortical activity blobs. 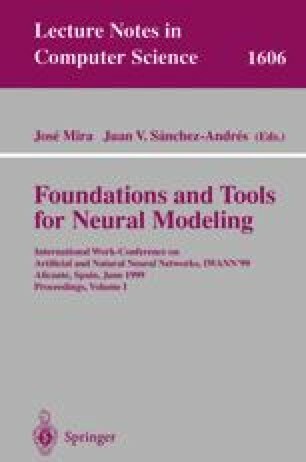 The model’s architecture and features are, compared with former models, well justified neurobiologically.